WHAT IS SHADOW BEHAVIOUR AND WHY IS IT SO DAMAGING? Shadow Behaviour is a ‘block’ to Best Self. Shadow Behaviour – put simply – is a negative, and often automatic, unintentional and unconscious, response to events, people and situations. Different people exhibit different Shadow Behaviours. You may act defensively, resist change, manipulate others or act aggressively. Or you may be impatient, overbearing, territorial, unresponsive or have a moody style. Whatever your Shadow Behaviours are, they are unique to your PRINT. And they are predictable as well as preventable. 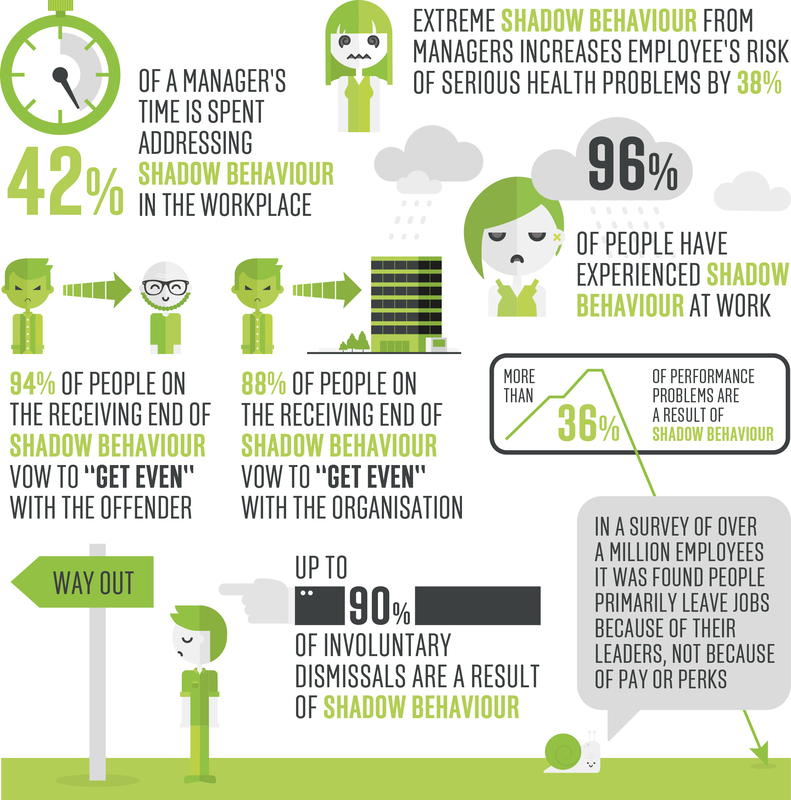 Of course, people display Shadow Behaviour in varying degrees – as you might expect, the effect can be severe. According to independent research these problems carry a huge cost.